THE GREEN WAY to Fall Leaves. Our friendly customer service staff will help find the best solutions for you. It's great to have big shade trees in your yard. But, come fall, you can start to resent them. Those big trees drop leaves, and that means extra work, hassle, and lost time. However, there's good news. 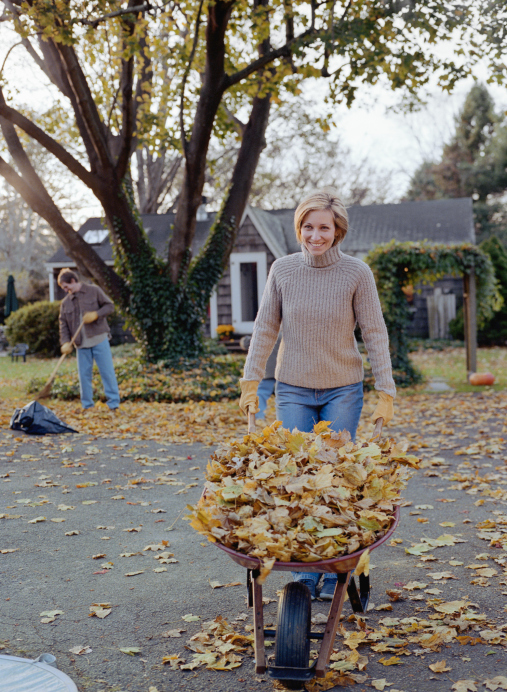 A recent study done at Michigan State University shows that you can forget about raking, blowing, and bagging leaves. Instead, just mulch them with your lawn mower. It will improve your soil, and add nutrients. Here's how we to do it at Selena's Landscape, Design & Tree Service. We take the grass catcher off our mowers and mow over the leaves on your lawn. We want to reduce your leaf clutter to dime-size pieces. We know we are done when about half an inch of grass can be seen through the mulched leaf layer. Once the leaf bits settle in, microbes and worms get to work recycling them. 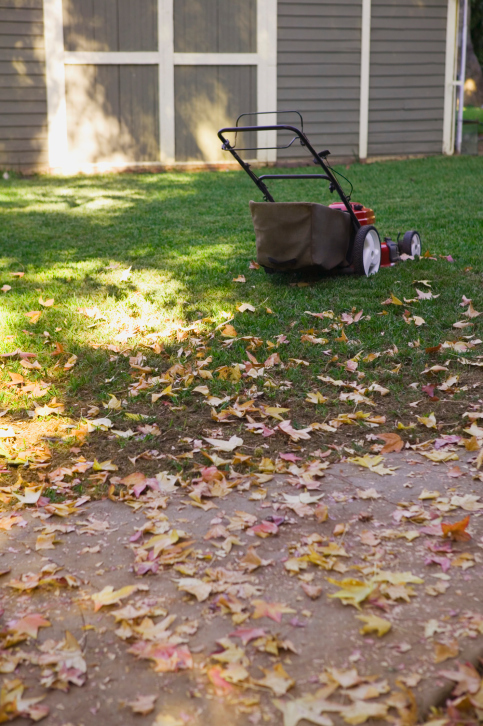 Our rotary-action mowers will do the job, and any kind of leaves can be chopped up. With several passes from our mowers, we can mulch up to 18 inches of leaf clutter. The best time is every two week. Microbes do a better job recycling carbon from leaves when they have nitrogen. Can help break down your mulched leaves faster. So your grass will grow better, and your microbes will work harder, when we feed your lawn after mulching those leaves. When spring arrives, you'll notice something. The leaf litter you mulched up in the fall will have disappeared. Your rake will look dusty and neglected. And your grass will look greener than ever. When you rake your leaves, it costs you. Your local taxes pay for trucks to sweep up your leaves or pick up your leaf bags, which often end up in landfills. If you burn leaves, you're just sending up clouds of carbon into the atmosphere. Mulching leaves simply recycles a natural resource, giving you richer soil for free. For best mulching service leaves must be dry. Book now and Get 10% Off. Note: Brown Leave bags may be used. Leaves will be left for you local trash pick up service. Note: Not all leaves may be collected. Note: Not all leaves will be shredded into your lawn. We do not service WET LEAVES. 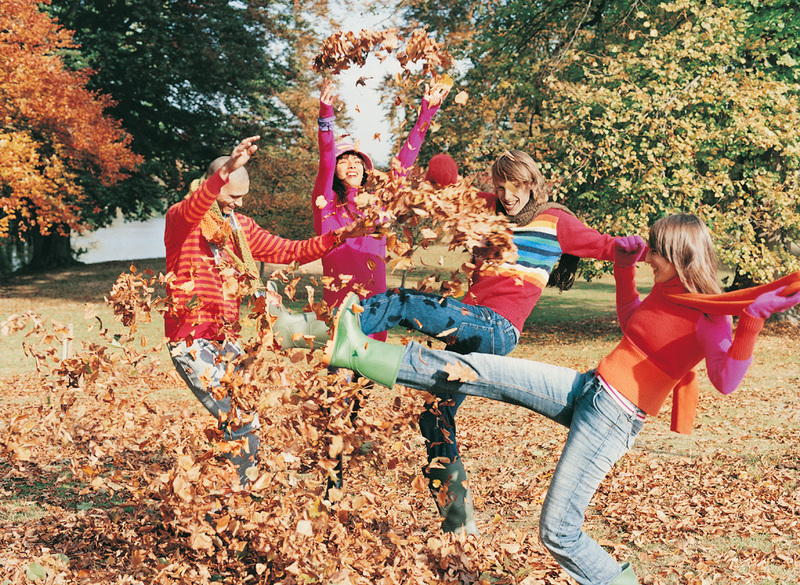 Don't Rake those Leaves. Mulch Them into Your Lawn! Note: Pricing may change without notice. Pricing is per service Call.